Visiting Paris always goes by going on top on the Eiffel Tower. However, once you are in the area remember to takes time to relax in your long visits days. From the top of the Eiffel Tower, between Parisian buildings, a green area is visible. The Champ de Mars is the ideal place for a picnic with your children, with the wonderful view of the symbol of France. This park contains wonderful areas for your children to enjoy Paris, away from tourists and Eiffel tower key chains sellers. The 1913 Carousel has seen two world wars. It is still in function and works mechanically. Take a ride with the Old Paris, next to the Eiffel Tower. 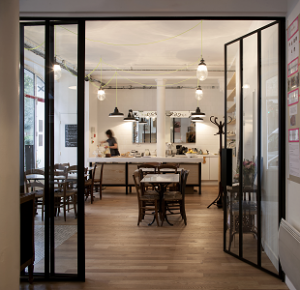 It is at the corner of Avenue Charles Risley and Avenue Pierre Loti. A traditional Middle Age game is offered on the carousel, with a stick, children have to hit in a circle. 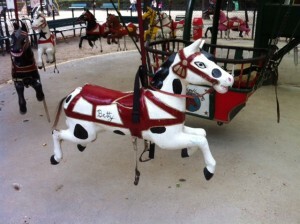 A more recent carousel is also in the Champ de Mars, on the other way. When sunny days show up in Paris, pay attention around you, poneys and donkeys are trespassing. Children are able to ride them for a small price. 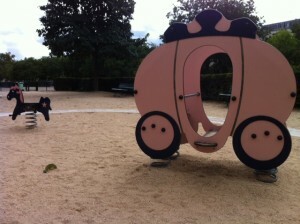 Also pedal cars might appearing in the Eiffel Tower Park, another occasion for your children to try traditional games. And of course, several snack places are always situated not too far away from these activities. If none of these interest you, or are closed, playgrounds will always be in the Champs de Mars, and for free.